From the editor: One of the big drivers in delivering a great customer experience is achieving First Call Resolution so this article by Nuance delves into some of the critical components in how to improve it! And like most things, it’s not necessarily achieved by doing just one thing right, but one made up of many different components. 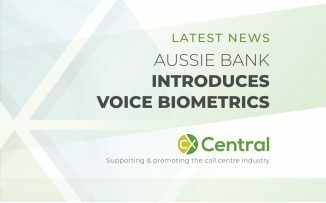 Often the first touch points to a contact centre is through an IVR and its here, with better routing and advancements in technology, that you can really make a difference. If you dont know why a customer is calling, how can you expect to solve their problem the first time? 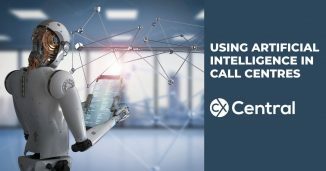 In the second instalment of a new blog series devoted to enhancing first call resolution, Chris Caile explains how capturing caller intent with natural language understanding can help companies improve call routing and containment. Despite rising customer expectations and shrinking budgets, companies are increasingly expected to deliver great customer experience in the call centre. My last post introduced us to first call resolution (FCR), an increasingly popular call centre metric, and outlined the cost implications of not getting it right. The rest of this series will outline four proven initiatives to help improve your companys first call resolution rate. Today were kicking it off with advice on how to improve routing and containment. But lets take a step back. Do you know your companys FCR rate? 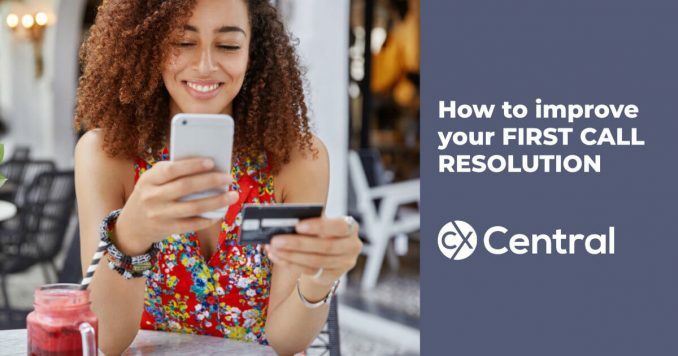 The formula to compute FCR is straightforward divide all the calls that come into the IVR by the number of calls resolved the first time. Having this internal-focused view of FCR will help you start the process for improvement. But remember that is only one view into the situation. And while these internal stats and graphs may suggest everything is fine, it is also essential to consider the customers perspective on whether their issue has been resolved, because they might have a different impression. And ultimately, your organisations bottom line depends on their satisfaction and willingness to do more business with you. Additionally, failure to take the customers viewpoint into account could artificially inflate your FCR, resulting in hidden sources of customer churn. After all, you cant solve problems if you dont know they exist. You must, therefore, use a combination of internal and external sources of information to build an accurate picture of FCR success rate. The table below shares the most common sources of both internal and external data that you can use when calculating FCR. But theres one secret many companies miss when reviewing the data. They dont consider the callers timing and their reason for calling (caller intent). Weve seen many companies miscalculate their FCR by simply measuring it based on subsequent calls by the same phone within a pre-determined period of time  typically 24 hours. I once called my cable company on Friday to address a service issue (successful!) and then called again on Saturday to add additional channels (revenue generation!). These were two very different things. Attributing the second call to the first and putting them together as not resolved creates a false impression and could lead you to fixing the wrong problem. Theres no question that understanding caller intent provides a clearer window into resolution rates. Imagine the following scenario: A customer calls your company with a problem but theres no menu option that fits the reason for their call. At that moment, they have two choices  select one of the many IVR menu options and cross their fingers that they get where they need to go or press zero for the operator, who often has no context for the call and ends up misrouting the caller again anyway. Both options result in frustration and wasted time. To avoid this dilemma, one of the best places to start is to improve intent capture. Correctly capturing intent sets the stage for a successful resolution. Think about it: if you dont know why a customer is calling, how can you expect to accurately solve their problem the first time? To capture intent, companies have three basic options. You can use touch-tone, which gathers intent using keys on the telephone. But thats the classic Push 1 for Billing approach that frustrates so many people. Second, you can use speech, which captures caller intent by recognising specific words (i.e. Say 1 for Billing). Or finally, intent can be captured through conversational IVRs with Natural Language Understanding (NLU), which recognises strings of words, allowing callers to speak naturally. Of the technologies available, natural language makes the greatest impact to improve First Call Resolution and is the most effective in capturing intent. Look at it this way customers are calling your company countless times a day, for thousands of different reasons. Assigning all those calls to a restricted set of menu options means making assumptions about why they call, which is an infeasible task. So how are you supposed to ensure customers get to the right place the first time? Thats where NLU comes in. 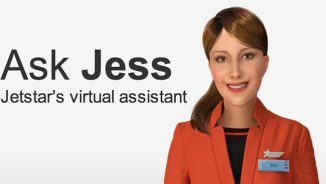 Modern IVRs today are starting to use advanced technology that let your callers say anything theyd like and your IVR will be smart enough to understand it. It recognizes both what they are saying and their intent. With NLU you turn your IVR from a maze into an asset as customers are more likely to be directed to the right resource  quickly and without error. The ability to resolve their call on the first attempt goes up along with their satisfaction with your company. Find technology suppliers who specialise in CX and contact centres in our Business Directory including National Language IVR, Speech Analytics and more.